Want to join in? Shelf Control posts go up every Wednesday. See the guideline sat the bottom of the post, and jump on board! I’d had my eye on this book since I first heard about it as an upcoming new release. 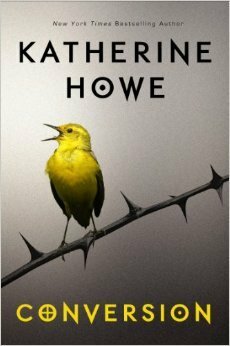 I thought Katherine Howe’s earlier novel, The Physick Book of Deliverance Dane, was pretty terrific! Conversion is another witchy book, and I love the sound of The Crucible being incorporated into a contemporary YA story. Yess! I really wanna read this book too! Yay! Let’s both read it in 2017 — deal? That book sounds interesting! I love anything that has to do with the Salem Witchcraft Trials. I might give the book a try. Great! So glad you participated! I’m glad that you created it! I apologize for the double post. I have this book on my list as well! I love anything related to the witch trials but just haven’t gotten around to reading this one yet. This sounds incredible honestly! I am not sure how I have not heard of this but it is going in the pile of must read!